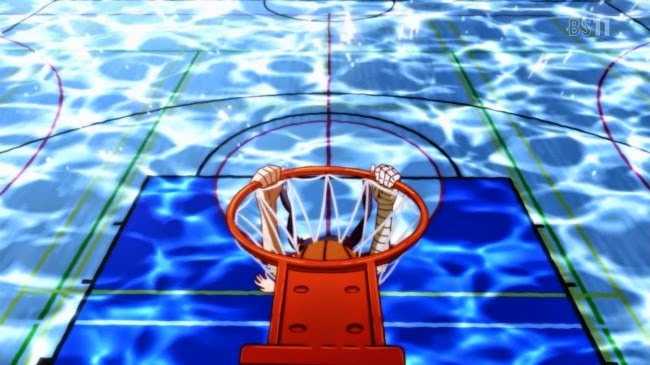 "Kuroko no Basket meets Monogatari"
Warning this review could contain spoilers! If the reader wasn't watched this anime, this could reduce the enjoyment! For instance Sasuke will kill Naruto in season finale! See the danger of a Spoiler? Now this was a lie, only to show the power of a spoiler! The reader was been warned! Obviously this is a fifth season, so you need watch the past seasons. Nevertheless you can watch this season without previous knowledge, but you will not understand a big percentage of the plot! 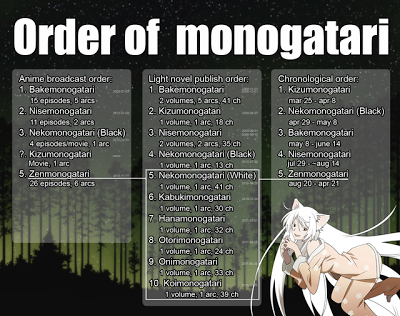 A typical opening for the Monogatari Series, in line with the previous season, there are not much to say about it. The opening come to confirm that Hanamonogatari is an extension of the Monogatari Second Season. Just a final word for the ending song: it is a little to strange for me, but by rule I generally don’t like ending sequence (with very, very rare exceptions), but this one was too out of context, even for studio Shaft! For me this series is more worthy because it creates interest for upcoming stories and the new loose ends than due to the story, which only have five episodes. 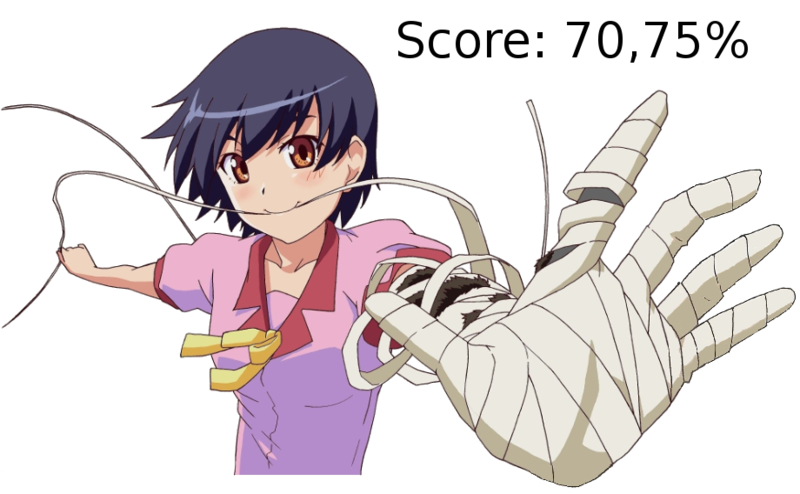 Let’s start the review, continuing the logic of Monogatari Second Season this was the time to Suruga Kanbaru (and it was predictable because of Kaichi’s strange interest by her). It wasn’t a great performance but was much better than the Tsubasa Hanekawa performance in Tsubasa Tiger. Araragi appears in the episodes but instead of the feeling that he can show up at any minute to save the day, this time it was more natural (it only serve to increase the interest by Araragi and his new life, now that he and Senjōgahara finished School). He appears only to give advices and complement some funny dialogs with Suruga Kanbaru and not to save/fix all in the last minute! Concentrating in the Hanamonogatari plot, this season it felt like a continuation of Monogatari Second Season that it doesn't aired, because it had to be chronologically after of Hitagi End story, which is a better story than Hanamonogatari, due of the great performance of Kaiki and Senjōgahara! 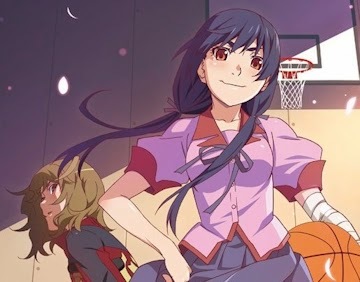 The plot revolve about Kanbaru's cursed monkey's paw, focusing more in their past (before she got the paw), from their childhood to her basketball achievements! A fierce battle (with some twists) between Kanbaru versus her old basketball's rival Rouka Numachi (despite they never played an official basketball match). We can take small conclusions from this season: studio Shaft maintained his bet on giving the main spot to other characters and keep his high quality animation, but with a little decrease of the story. The rivalry between Kanbaru and Numachi ended in a high quality basketball match. 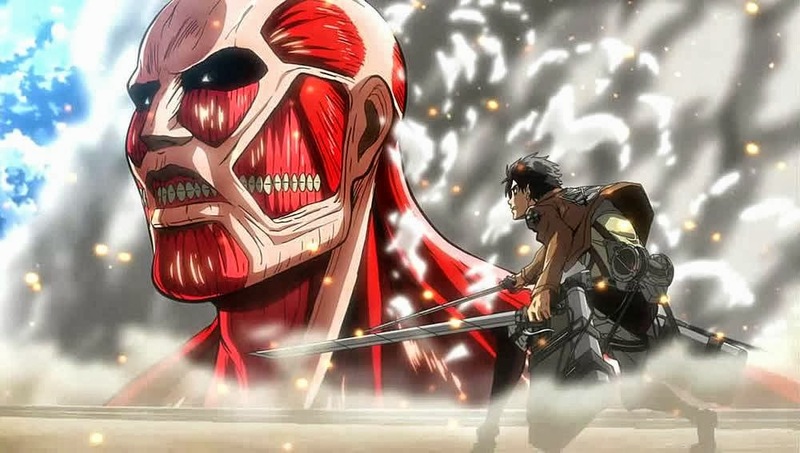 An one to one epic match where the animation compensates for the slight weaker story, makes it worth this season. It’s just Studio Shaft at their best! The most interesting part of this season is the plot possibilities that opened! It was a strange Hitagi that show up, the time that passed between the end of Monogatari Second Season is unknown. The doubt about if he survived the shoot is still in the air, I bet he is alive but you never knows (this season could serve as proof but we don't know when Kaiki was shot!). But the interest is not only about Hitagi future/present, now there are also some interest in his past relation with Kanbaru’s mother and the rest of the gang (Oshino and Gaen)! 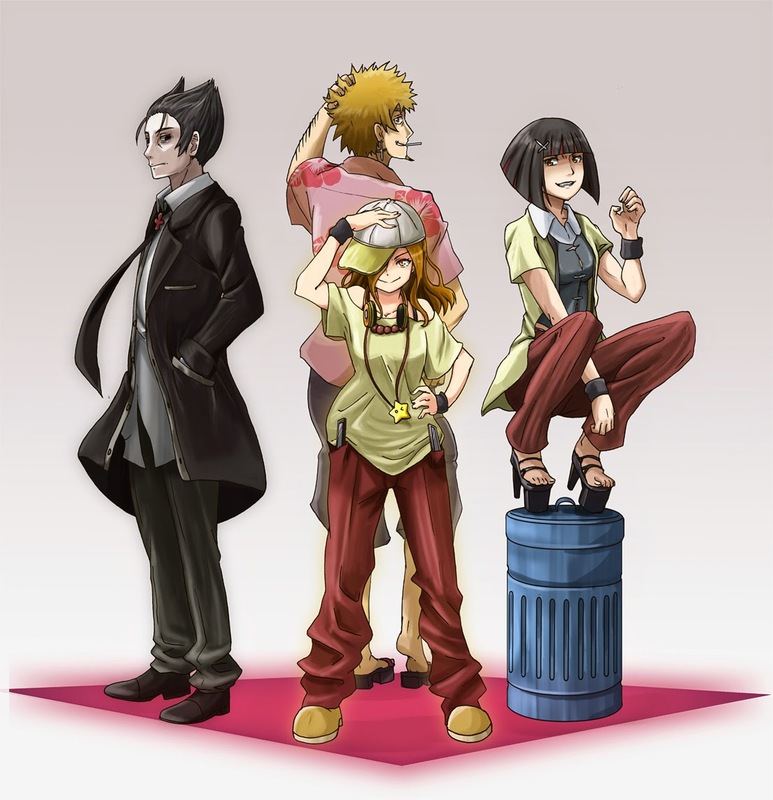 Oshino keeps disappeared since season one, many times referenced, but still disappeared. Some info about his past and about his present situation, would be interesting! We can’t talk about Oshino’s past without getting some appetite to know about Izuko Gaen, about her sister (Kanbaru’s mother) and also about Gaen’s assistant, Kagenui! This character appear to represent trouble. We still don’t know what their intentions are: if is simply to generate chaos, be an observer, solve problems with oddities or simply to follow orders!? This character is so sinister that we even don’t know his genre! Girl in Monogatari Second season, male in this season! 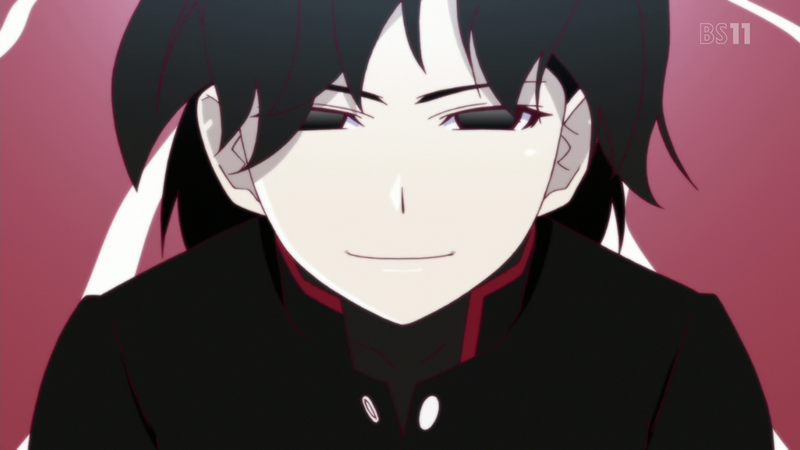 Ougi Oshino What are you? The only information that we had about him, is that he/she played with Suruga Kanbaru in childhood and he/she claims to be Oshino’s niece! In only 5 episodes Shaft managed (for me at least) to increase the interest for new stories, until Hanamonogatari my focus was in the night that Shinobu transformed Araragi in a vampire! Now I care about other character’s stories: the future of Kaiki and Araragi; the new life of Araragi/ Senjōgahara; who shot (and why) Kaiki and what is he going to do about it; and Gaen's story starts to get the need for explanations. 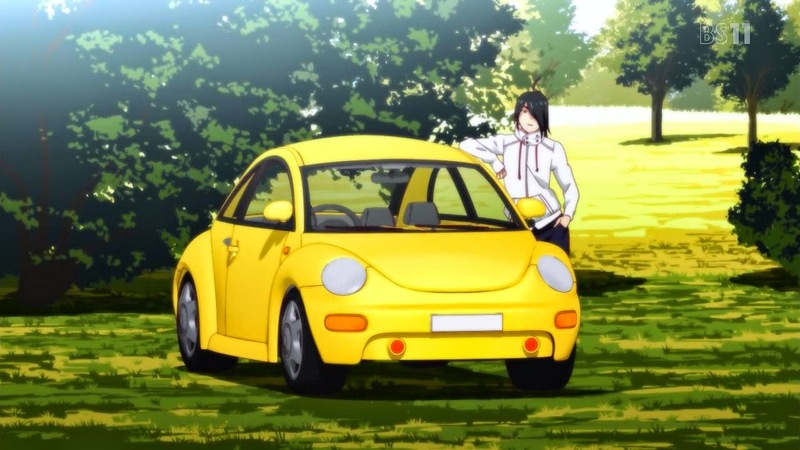 Araragi with a car instead of his bicycle! All this new questions in only 5 episodes, despite the simple story (with a great animation), studio Shaft gave room to a new pack of stories to future seasons! As I already written my interest for stories just increased with this 5 episodes season. I want to know more from Gaen and Oshino and I still want to know what happened in the night that Araragi was bitten by Shinobu! The Kizumonogatari film is announced!